My largest landscape design project was done for the George Washington University Ashburn Virginia campus in Loudoun County. I was fortunate to become part of a team of designers, all former alumni, working on a walkway to connect two of the buildings there. The university has a Master Plan for future development and needed to have a way to allow students and faculty to travel between two nearby buildings without driving. They were also looking to create gathering spaces and to include the surrounding community. 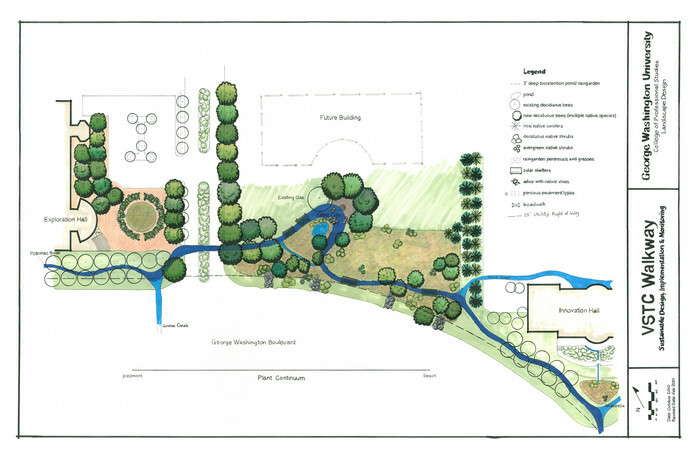 The most interesting part of the design was the requirement that it provide a Sustainable landscape design - infiltration of rain water runoff, reintroduction of native plants which provide a habitat for native wildlife, and use of permeable paving, and recycled materials. After nine months of work the team completed our design concept. We used the Potomac River as our inspiration, and so the path follows the laydown of the Potomac onto the campus with the river bend near Leesburg forming around Exploration Hall, the hook at Great Falls taking walkers to the gathering place in the center, and the tributaries leading to the coffee shop across the road and the entrance to Innovation Hall. The design concept has been presented to the university executives and to the Landscape Architect and was well received. Installation should take place this summer. The home owners at this residence were displeased with the original landscaping put in by the builder. The shrubs were too small for the size of the house and many of the selections were lackluster. Additionally, heavy winter snow and ice had caused a lot of damage to them. There was also a water drainage problem due to the location of the downspout. To improve the look of the front yard, the existing shrubs were replaced with some that had more seasonal interest and variety. These included flowering Spirea x bumalda 'Anthony Waterer' and Chamaecyparis obtusa 'Nana Gracilis', or Nana Gracilis Hinoki Cypress, with it's interesting fan shaped evergreen foliage. Drought tolerant long blooming perennials and sedums were added for color throughout the growing season. The front yard of this property benefits from a perennial garden that is bordered with rocks. The garden has year-round interest with spring bulbs, summer and fall perennials, and a red maple tree for fall color and winter bones. Click on one of these to get a close-up slide show. This Montessori School was looking for a quiet space for the children to enjoy being outdoors and participate in the garden. A beautiful fragrant rose climbs over the archway that leads into the garden. The containers surrounding the patio hold flowers and herbs. The trellises have a number of climbing vines for additional garden interest. This property in South Riding was a blank slate - a backyard of just grass and a high deck that had 21 support columns. The side yard was a large swale that lead to the drainage for the nearby neighbors. 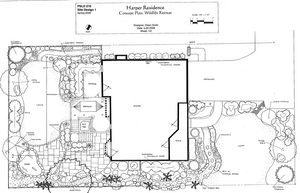 My design concept was for a wildlife retreat that incorporated a dry creek bed in place of the swale, a pond, hot tub and storage under the deck, and vegetable garden. 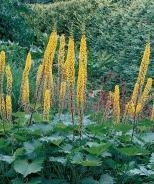 Many of the plants offered food for birds and butterflies, places for frogs and fish.